This is def. something that I would wear! Love the off the shoulder look and this dress is just gorgeous! Nice find! I have been eyeing that dress at Nordstrom for weeks! It looks so great on you! Why do you always have the best floral dresses??! This dress is so pretty!! You always have the cutest outfits!!! This dress is too cute on you! 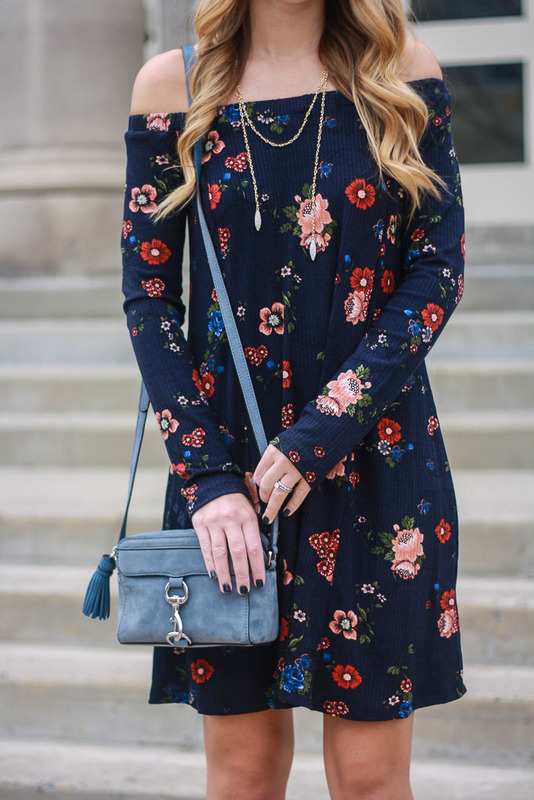 I love fall florals, and that dress is perfect on you!!! That is the cutest dress! I seriously need or want to raid your closet! Ha! This is such a soft, pretty dress and I am in love with the bag! overall, a lovely look! Such a cute off the shoulder dress!! Loving this!